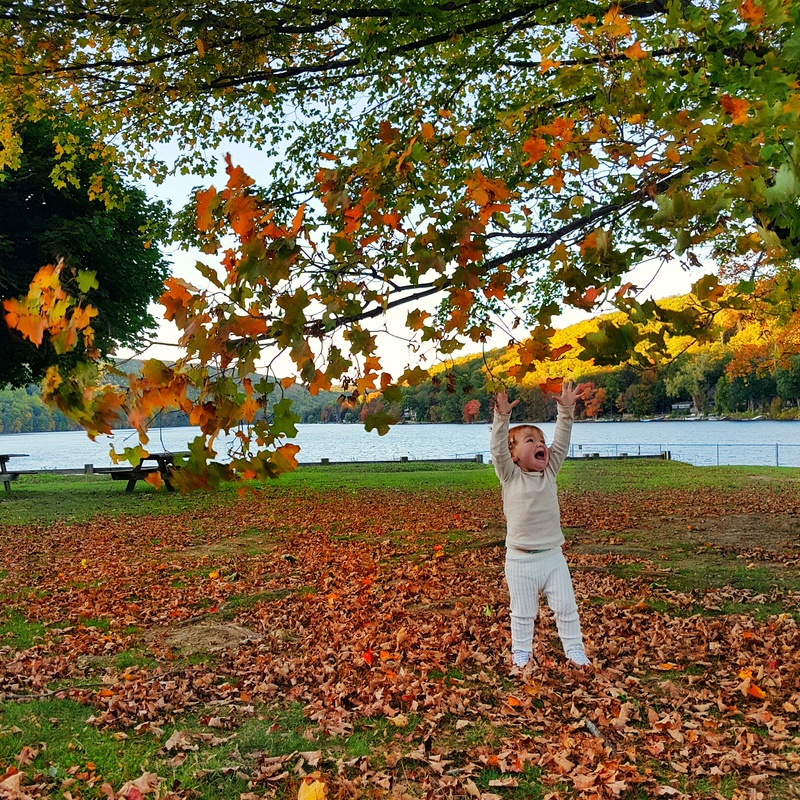 New England was right at the top of our travel bucket list long before we were married, in fact, we had almost completed the (long) process to up sticks and move across the pond, Connecticut being our destination of choice. 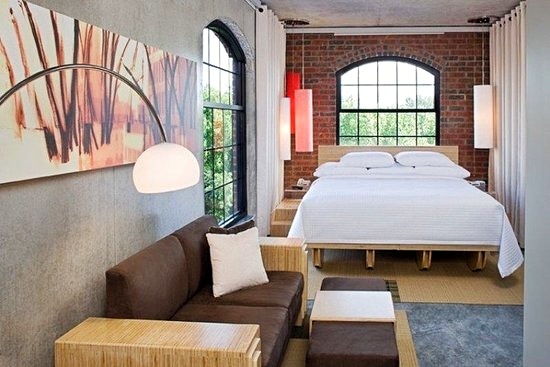 It’s hard to pinpoint the major pull to that particular part of the states beyond the incredible seasons, diverse landscape and abundance of exciting things to do and see. Of course a lot of it was down to it being the home of the Patriots and the Bruins, but also, it seemed to be like a home from home in so many ways. 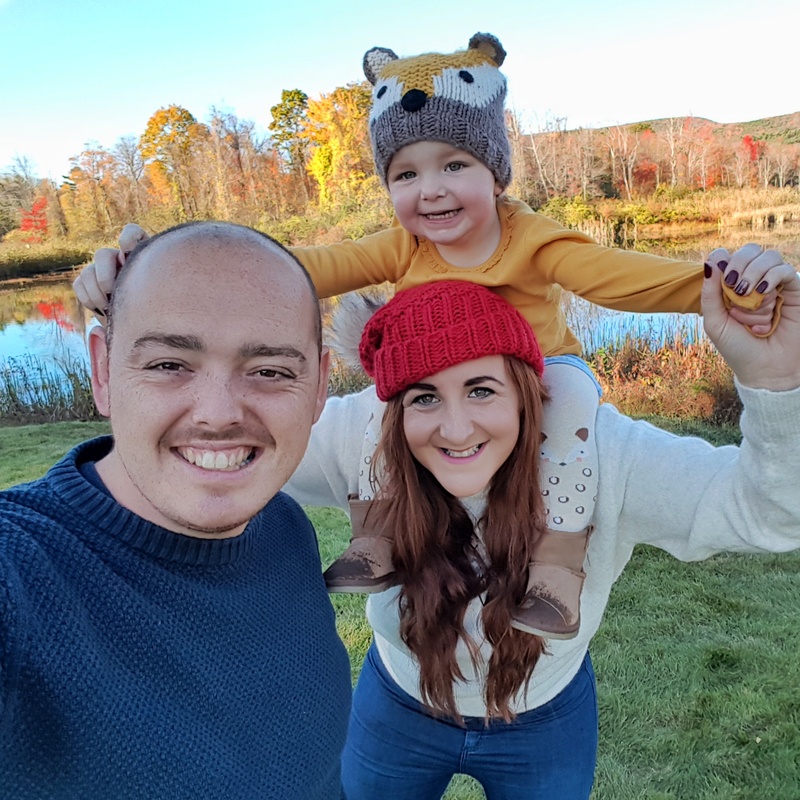 Fast forward to last summer as we set off to California with our 9 month old and spotted an advertisement for direct flights to Boston, we very excitedly jumped on the wi-fi and booked our dream vacation, New England in the Fall was now only three months away! 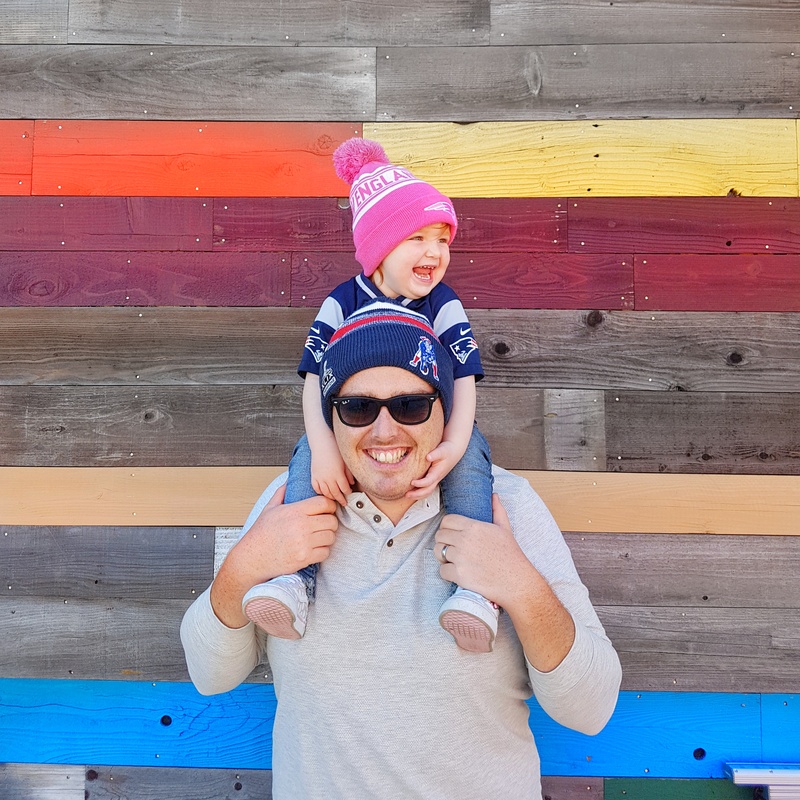 So, this was actually our second time in New England, a testament to how much we fell in love with the place during our first visit. 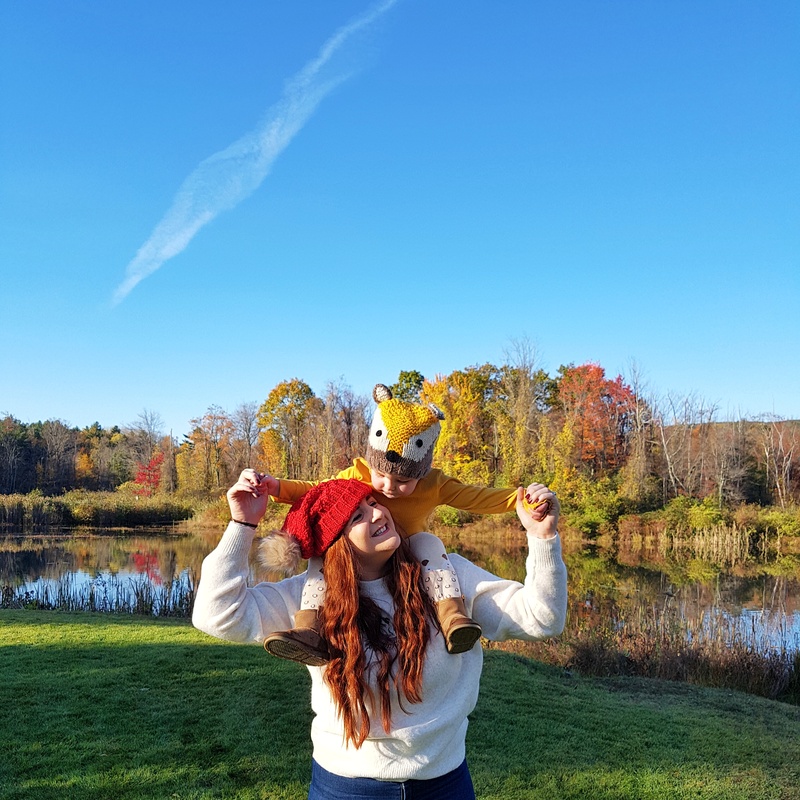 I meticulously planned our route last year and researched all the best things to do with a one year old whilst incorporating a Patriots match, a Bruins game and a drive along the peak “leaf peeping” Fall Foliage areas. This year I was a little less organised and instead we set off with just a rough idea of things we wanted to do and a potential route. 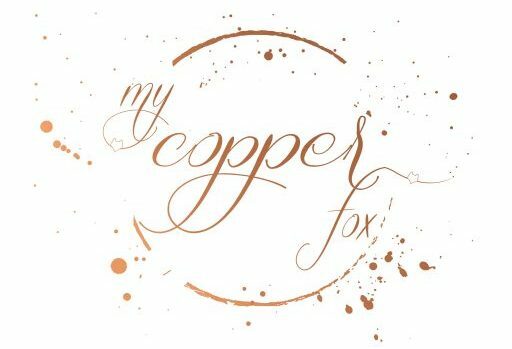 Even now I am really struggling with this post, I have SO much to tell you guys I think I will split it into a few sections and then I will do a separate blog post on travel tips so that this doesn’t take you a day to read. We are huge fans of Aer Lingus having used them to fly 11 hours to Los Angeles from Dublin and six hours to Boston just the year before and so there was no debate in who we were flying with. We set off from Dublin the morning after Ophelia wreaked havoc on our little island and thanks to her path across the Atlantic we were told that our six hour flight would be closer to eight hours, fabulous! 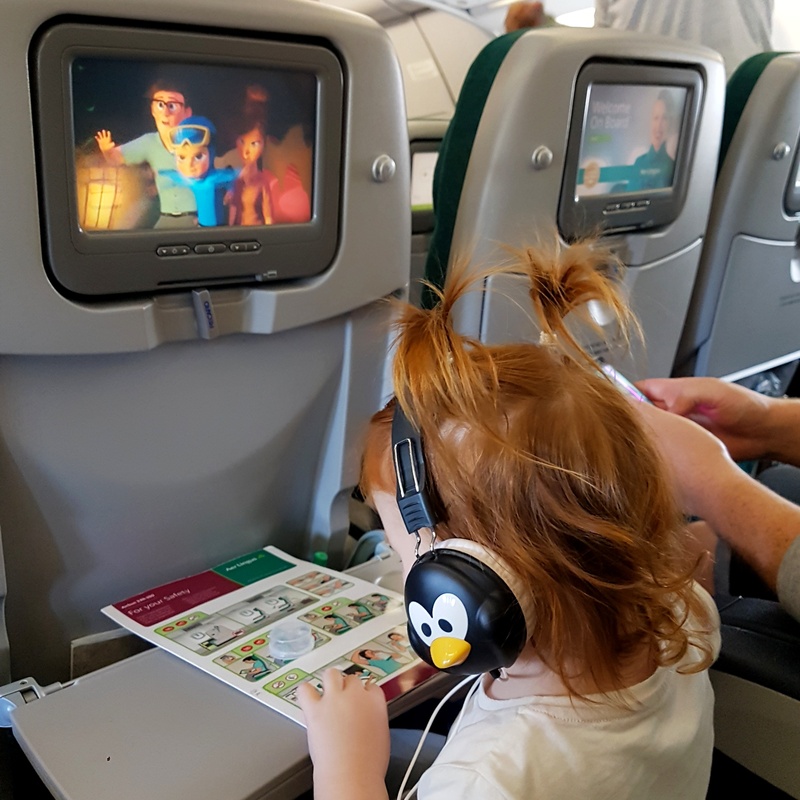 Being on the plane for that long didn’t bother me at all, the Aer Lingus fleet is comfortable and modern with some of the friendliest cabin crew we have ever come across. 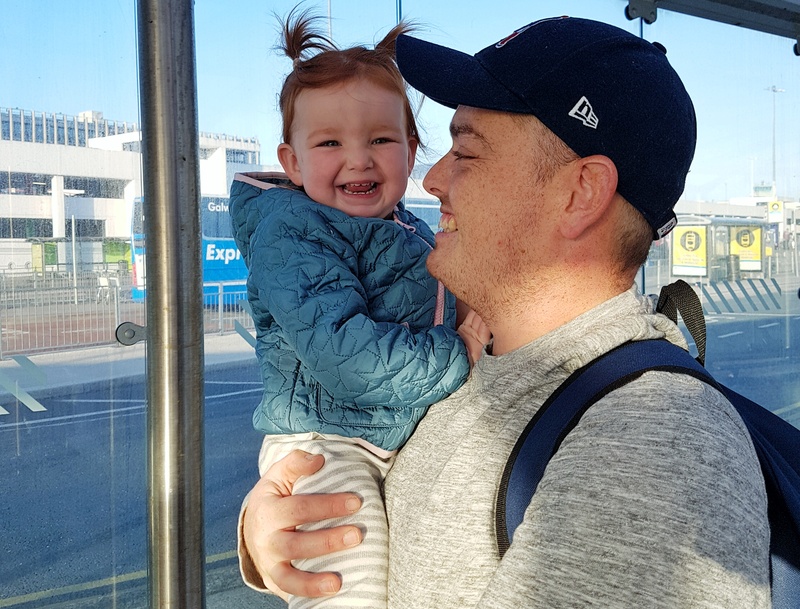 My initial fears were down to the fact that we would have to keep a two year old contained in a seat for two extra hours…a lifetime in toddler terms. We needn’t have worried, she was a star and the flight was a breeze. 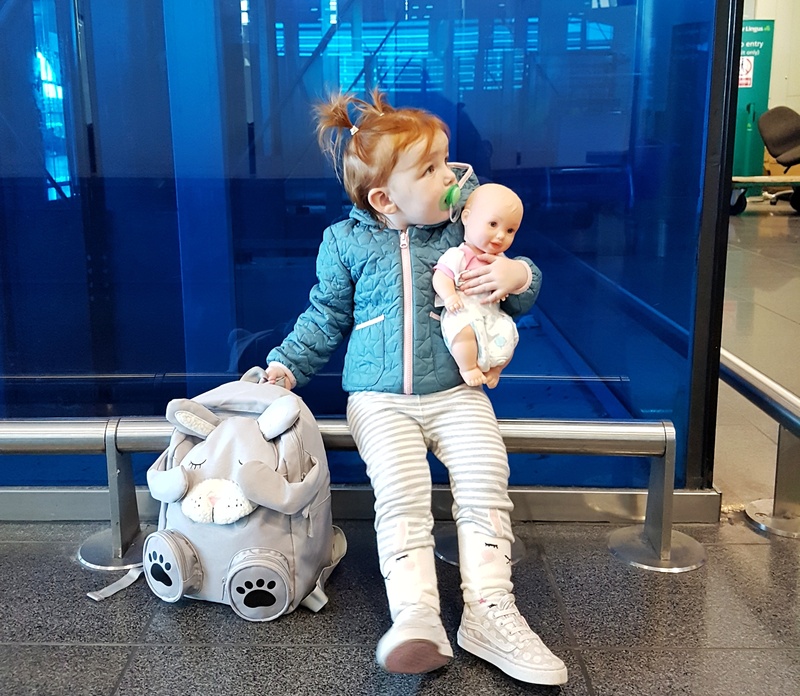 I have had many requests for a post on flying with babies and toddlers, I promise it is on my list. Arriving in Boston made us unbelievably giddy. That moment when you spot the coast out the window of the plane is just so exciting, even from the sky you can see how beautiful New England is. You step off the plane and straight into the taste bud tingling scent of Dunkin Donuts and the sight of all the sports teams banners, they don’t call it Title Town for nothing guys! It is my favourite airport to arrive into by a long shot. We had booked car hire through Netflights and got a great rate with Alamo so after collecting our baggage we set off to find our car. I can’t fault this process, there was a shuttle bus waiting to take us to car rental and within half an hour we had chosen our wheels and were heading for the road. We had decided that unlike last time we would initially bypass Boston and head south straight away as we wanted to take in some new places. Our first stop would be Cape Cod. This is arguably a Summer Spot and I can imagine it is absolutely buzzing in the warmer months as families head for this beautiful peninsula where the Atlantic meets a coastline adorned with quaint harbours, golden beaches, towering dunes and idyllic lighthouses. I tend to favour quieter spots, not being a huge fan of crowds and traffic jams, and so Cape Cod in October seemed like the perfect place to gather our thoughts and start the holiday gently. Our home for that first night was a lovely little beach hotel with the most stunning view over Lewis Bay and a campfire to toast marshmallows over while taking in the stunning scenery. Arriving quite late we popped our sleeping tot into bed and settled down in our room for an early night ourselves. Of course, jet lag kicked in around 3am and so we were up, showered and dressed in time to wrap up in blankets by the campfire and watch the sunrise over the bay. It was magical. 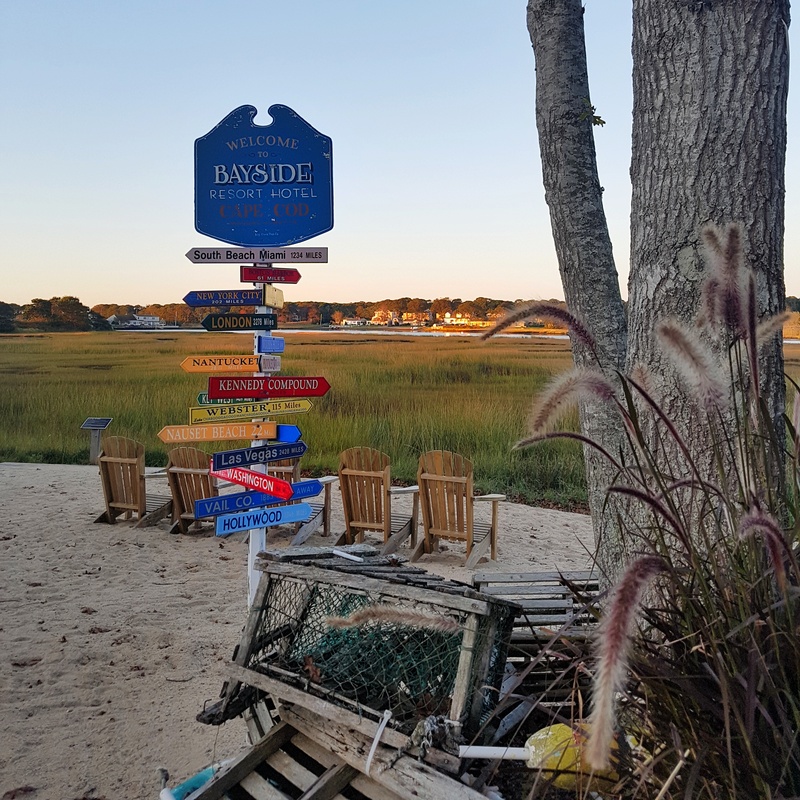 I had envisaged that we would spend a full day in Cape Cod but having realised that most places had closed for the season we hopped in the car for a scenic coastal drive before heading inland to our next destination, ahead of schedule. 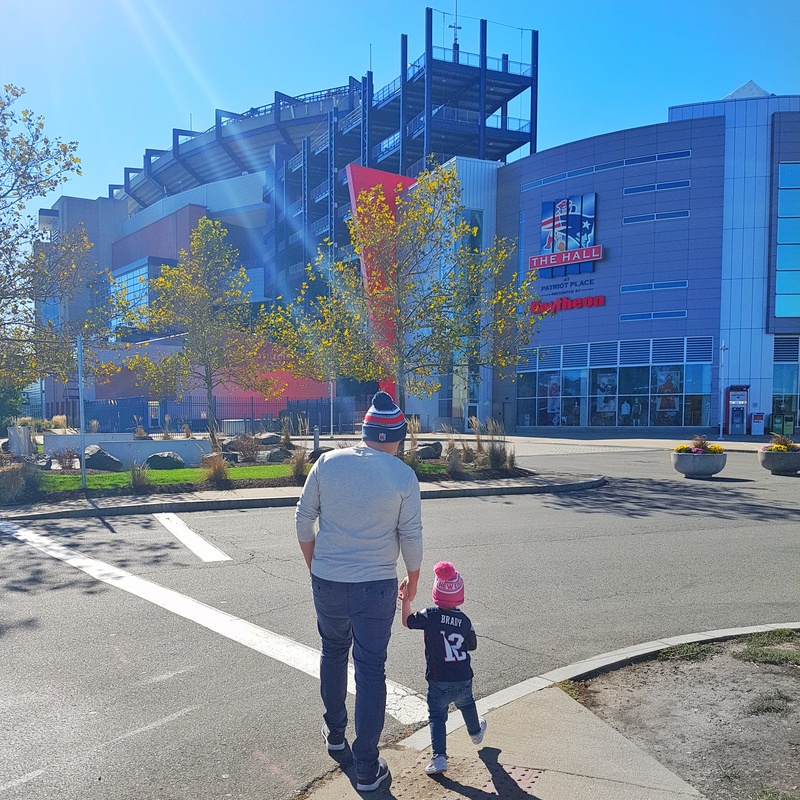 The excitement was at fever pitch for hubby and I as we approached Foxborough and spotted the towering heights of Gillete Stadium, home of the New England Patriots. Last year we had the absolute joy of experiencing a game here and Susanna actually took her first, very wobbly, steps just outside the gates. We knew we had to come back and visit, if only for our lunch stop. Sun beating down, we sat outside the CBS restaurant overlooking the stadium and toasted to the Pats. It was surreal to be back with a toddler who was running and jumping all around the shopping village. After a couple of hours we made our way to the Cranberry Bog, only a two minute drive around the corner. Again, this was one of our places we desperately wanted to revisit. 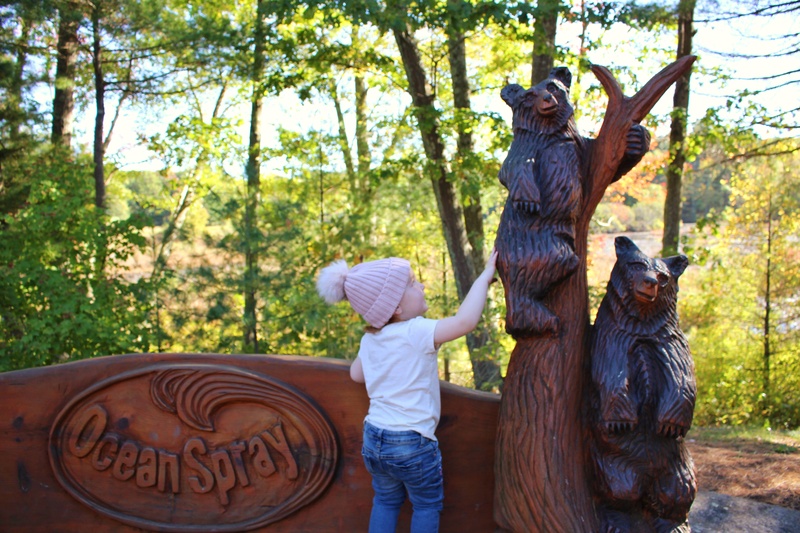 The Ocean Spray Cranberry Bog is the most vibrant red just before the cranberry harvest but it is the nature trail and Bass Pro Shop that was the real pull to us returning. 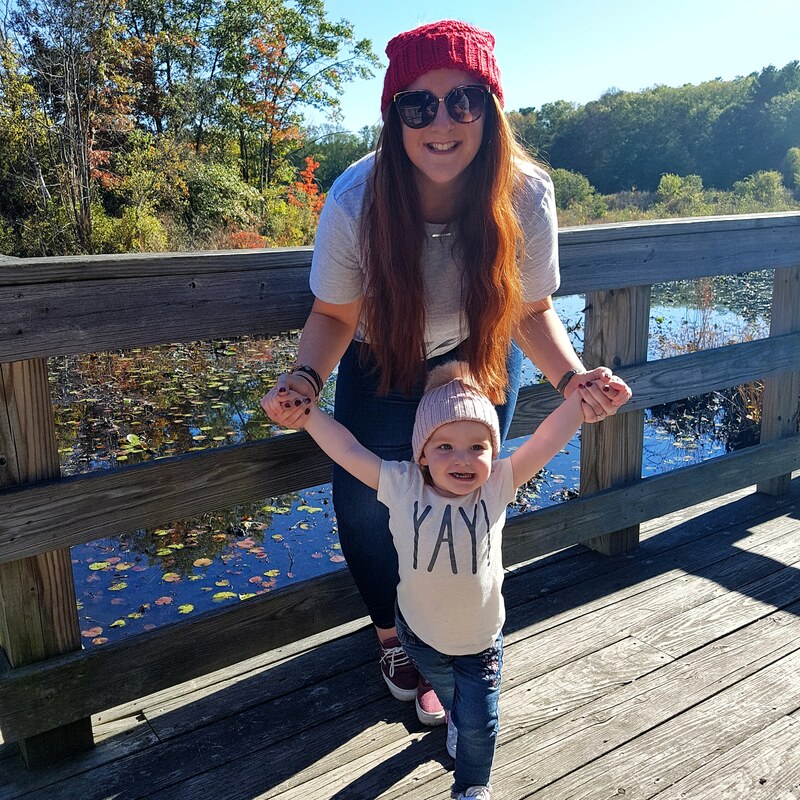 Many of the beautiful hikes and trails that New England offer are just not suitable for tiny travellers and so this one is a great compromise as it is only around a mile long and mostly flat ground, but you still get the beauty of New England woodland. After a whole afternoon exploring this stunning area we managed to coerce Susanna away – mainly thanks to bribery in the form of s’mores ice cream. I still day dream about that ice cream and the views over the cranberry bog, talk about a sensory high! Having started our day so early we were well ahead of schedule and so we chose to power through our route and head for Rhode Island. By sunset we had arrived at a hotel which had become a very firm favourite after our last trip, NYLO Warwick. 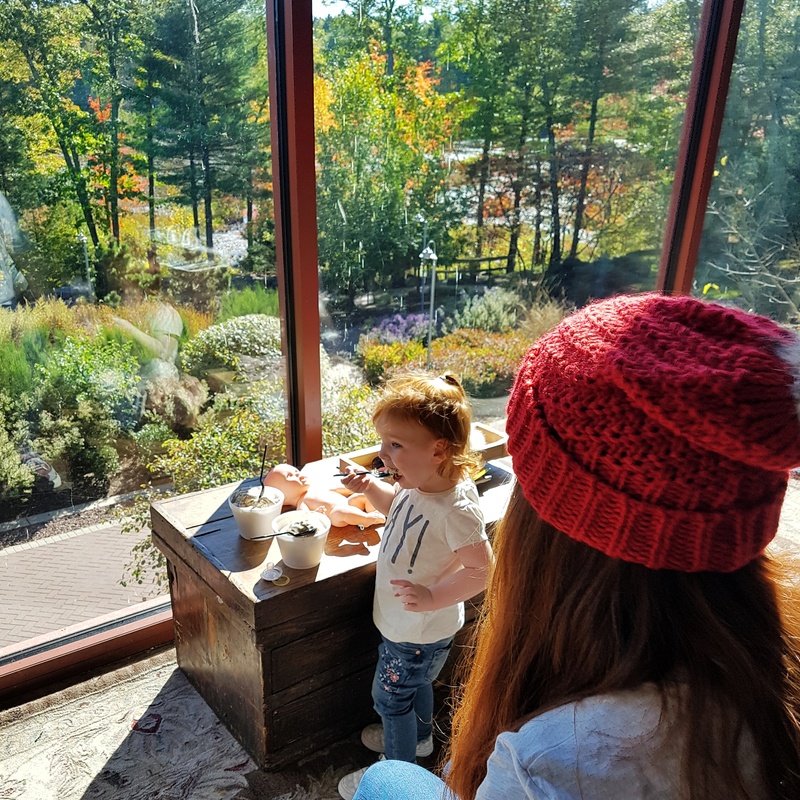 We enjoyed our room for a little while, threw on our cosy clothes and went out for pizza before making our way to Roger Williams Park Zoo for one of the most incredible things we have ever seen. 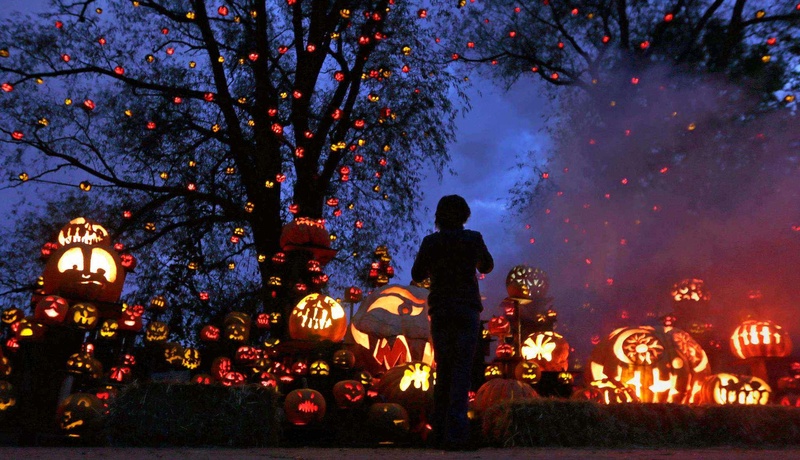 The Jack O Lantern Spectacular was one of the major reasons we wanted to revisit New England in October. Imagine the flickering glow of over 5000 pumpkins, each set in a magical display of artistry, lighting up a trail through the zoo. Intrinsically carved pumpkins high and low, themed music at every turn and pumpkin spiced beers in hand, hubby and I had the most magical date night as Susanna had decided to fall asleep as soon as she got in her stroller. I actually think she may have been a little nervous of it this year had she been awake. 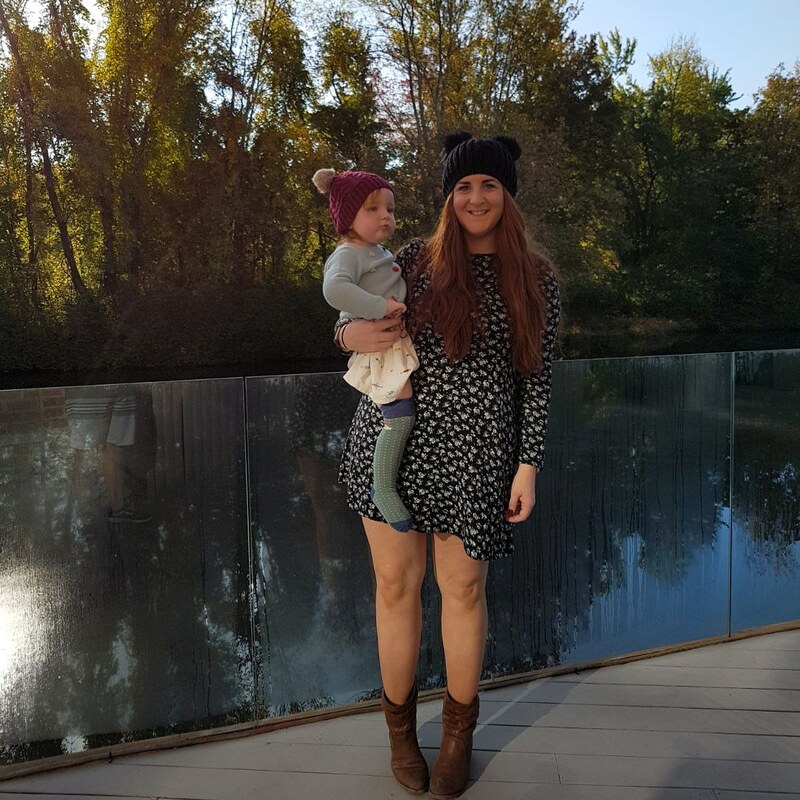 It is not scary in any way, being fully designed for families, and most of the trail is themed around popular culture, travel and music but I think the fact that it was so dark and unfamiliar would have scared her. Maybe something to consider should you ever decide to visit. The next morning we made our way back to the zoo, this time so that Susanna could see the animals and play in the farm yard. Perched on top of Daddy’s shoulders she took in the giraffes, elephants and everything else on offer before climbing down and running loose in the farm yard. 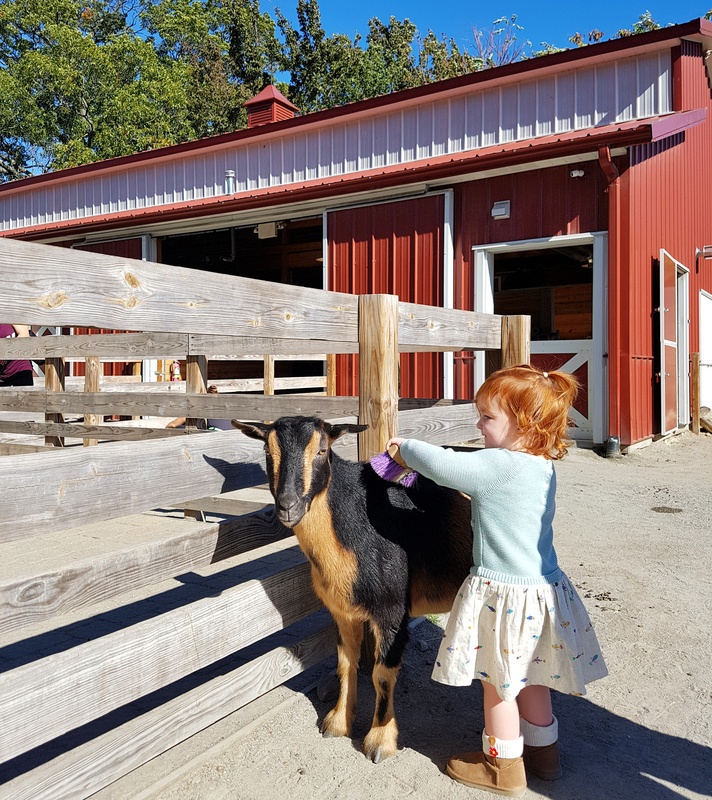 The kids are allowed in to brush and feed the goats and it was like a dream come true for Susanna. 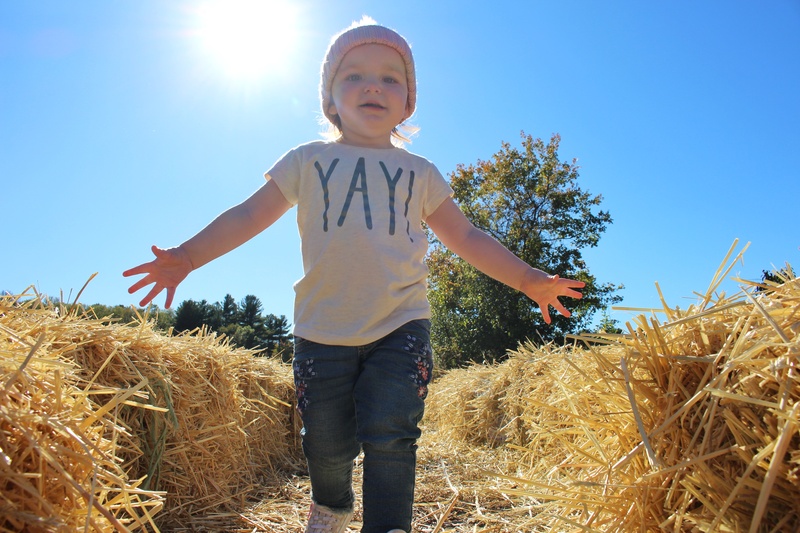 We must have spent a good two hours letting her explore the farm house, collect eggs, milk cows (not real ones) and ‘shop’ in the farm fresh grocery store. We were just so filled with pride watching her; I knew she would adore this place. 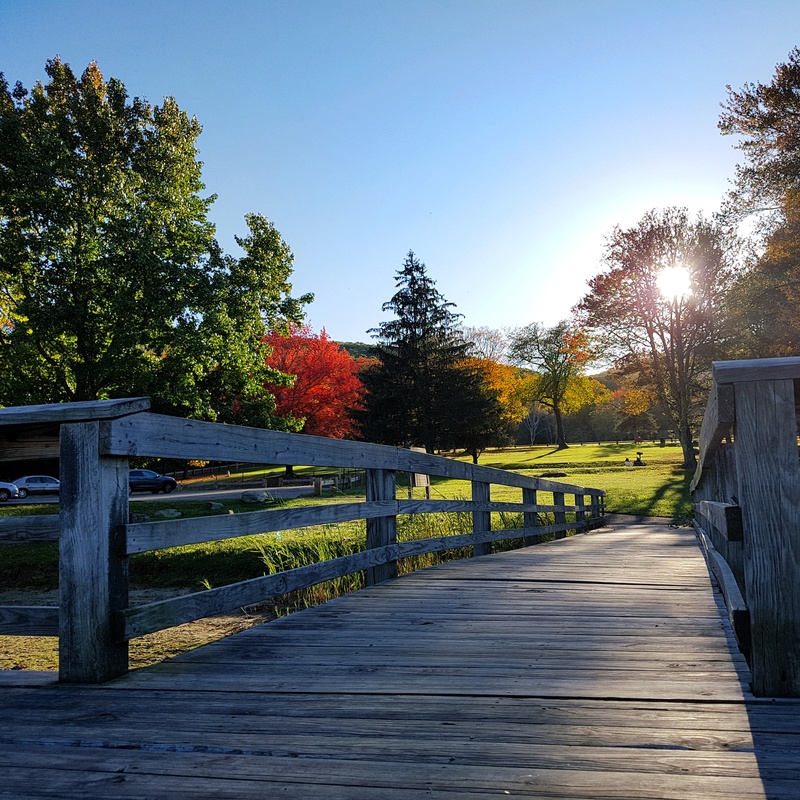 So after two wonderful nights in Rhode Island we bid our factory hotel farewell and began the long journey to Lake Candlewood, this was where our fall foliage tour began last time and we had big plans to recreate what ended up being a major highlight of our trip last year. Susanna slept for the two and a half hour drive and we munched on Swedish Fish and sang along to the radio feeling totally smug that we were nailing this trip like bosses. Oh how I laugh at us now! 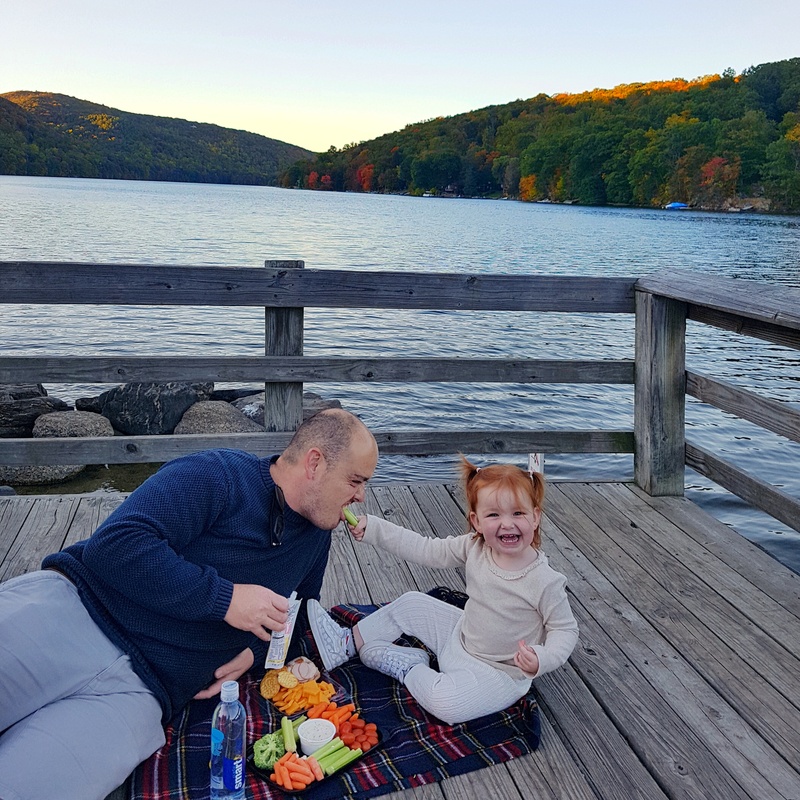 We arrived in ‘Lake Candlewood’ to discover that it was not at all where we had been last year…well, it was, in that we were in Lake Candlewood, but said lake is 8.4 square miles, the largest in Connecticut, and my pot luck sat nav pick was absolutely not the same area as last time! With Susanna now awake, and ready to explore, we braced ourselves for a further 50 minute drive to the location we felt sure was right only to discover once again that whilst it was familiar, it was not the beauty spot we had fallen for before. We now had a rather restless toddler, fading sunlight and a picnic which would surely be past its best. Thankfully, hubby and I were in holiday mode and found the humour in it all, deciding at last to just pick somewhere that looked like it may be park land on the sat nav. Hubby made his choice and we drove the 15 minute drive, praying that it would be suitable to let Susanna out for a good run around. 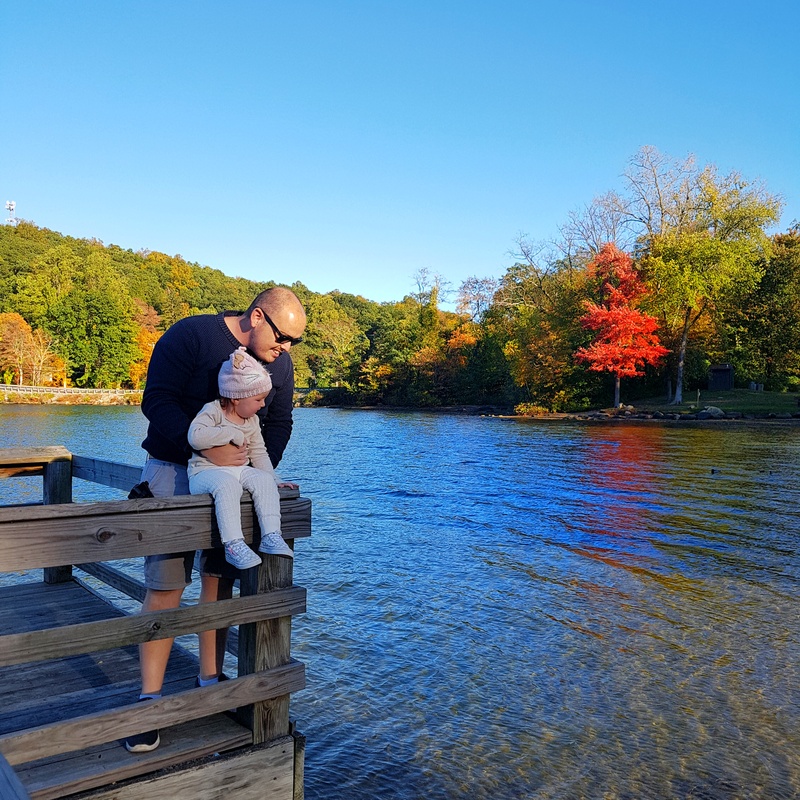 To our amazement, he had chosen the exact spot we fell in love with last year, Squantz Pond…I don’t imagine I will ever forget its name now. It was golden hour and the park was quiet. We jumped out of the car, picnic in hand and ended up having a perfect little evening in the most beautiful lake side park. We learned such a valuable lesson that day, don’t try to recreate memories, just go and make new ones! The only downside to our ‘failed day’ was that it was dark by the time we set off on the foliage drive to our next stop and so we missed the scenery, but as it turned out we had greater things to come. 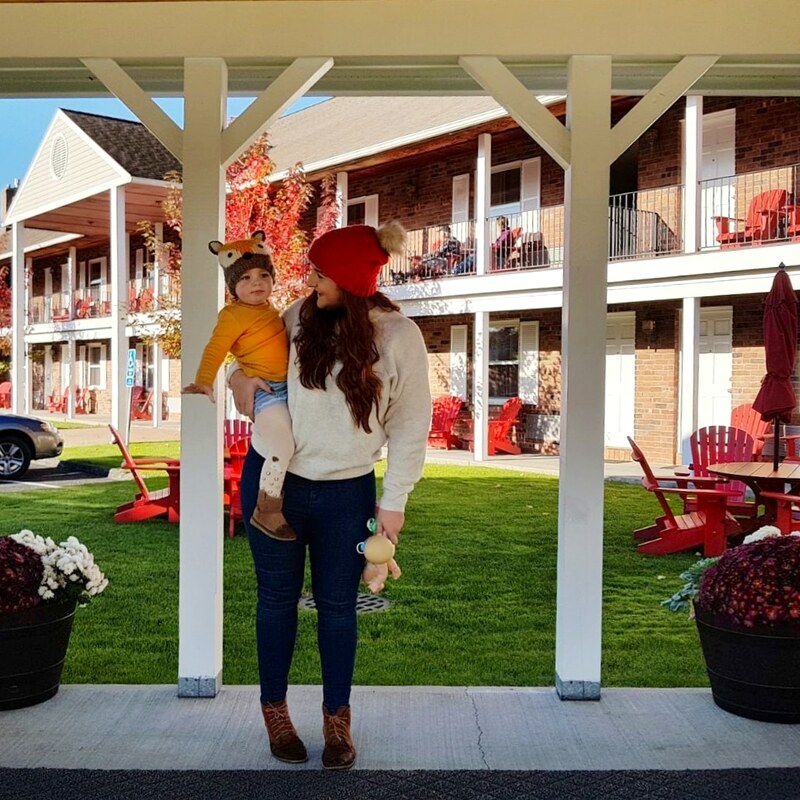 Our day ended in the Berkshires, another spot we had visited before and we picked the same hotel as last time purely based on the fact that it served hot apple cider donuts on arrival. The Berkshires deserve a blog post in themselves. This area is surrounded by mountains and lakes and is known as a top spot for skiing in winter. It has the loveliest feel to it and if we had time we may have spent longer here but it was just a rest stop for our journey to Vermont. I had strategically planned that our days of very long drives would be smack bang in the middle of our holiday. I wanted to make sure that the driving days were flanked with more ‘free range’ days for Susanna and not close to our flights so that we didn’t feel like we had just been in transit the whole holiday. If you are planning a road trip I really recommend that you structure it this way. I am going to stop there for now. I hope you have enjoyed reading so far, go take a well earned break.